Besides featuring fits of the most gorgeous modern interior decorating in the history of film, The Ghost Writer beats out Oliver Stone’s lackluster W. for most hilarious Condoleezza Rice doppelganger. Aside from that, it’s simply an expertly executed movie. Ewan McGregor never gets the play he deserves, and—had he not sliced the Achilles tendons of his career with that Mamma Mia detritus—Pierce Brosnan would be looking at awards veneration. Still, the movie delves into conspiracy theories without sounding like your drunken uncle telling you how Ronald Reagan brewed AIDS in a deep fryer. Great ending, too. I have qualms with this movie. Understandably, most of my misgivings likely stem from a relatively straightforward and superficial movie being praised as “high art.” (In my mind, I see the zombie hordes of moviegoers finding Little Fockers sold out, whereupon they buy a Black Swan ticket on a whim, and have their unsuspecting brains splattered all over the curtained walls of the theater because of the artistry, the majesty, the surreal beauty!) But come on. It features a protagonist with no redeemable qualities that the audience is forced to encourage by virtue of POV. Apparently, I’m supposed to root for a thirty-year-old human being that has foregone all human contact (even with herself, ha, ha!) aside from that of her abusive, loopster moms in the pursuit of dancing really well. Aside from the iconic hangnail—which inspires actual physical discomfiture—the deterioration of Nina’s mental state doesn’t exist for her as much as a it presents the audience something to gawk at, to question the reality of a movie that never establishes a foundation of reality to begin with (E.g. Swan Neck). From the beginning the girl is seeing herself on the subway. Or at least she thinks she does! Wait, what’s real! Wait, nothing is real. The entire conflict of the movie is subterfuge. Nothing is relatable. Yes, the movie is beautiful and entertaining, but “high art?” Certainly not, because humanity forges the molten core around which the world of high art arranges itself, and, sadly, this movie lacks humanity entirely. But, whoa, can Natalie Portman act. 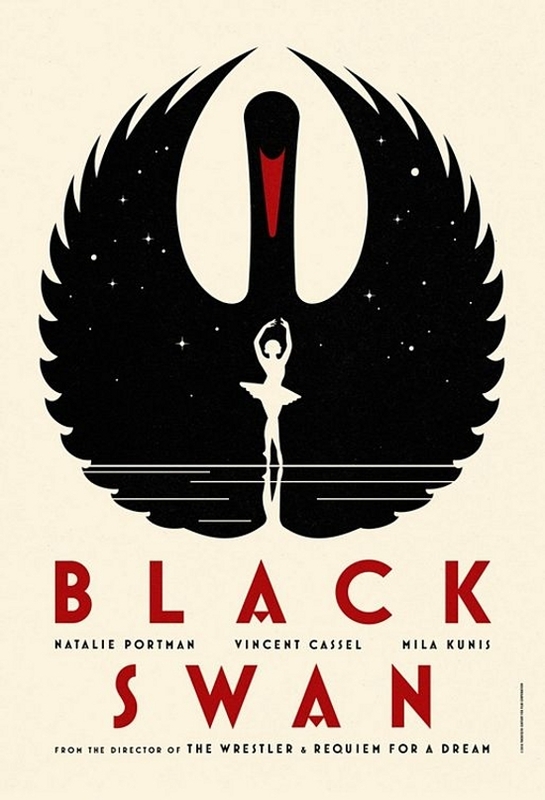 If Black Swan lacks humanity, this movie overflows with it. 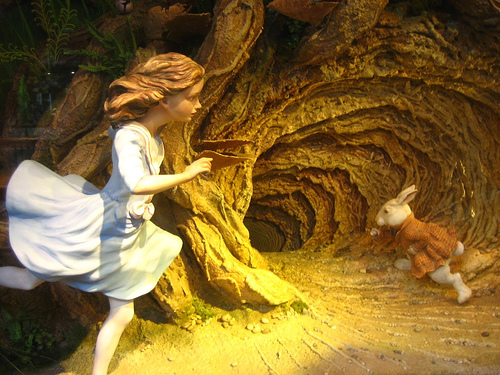 For what could have been a drab and maudlin catastrophe, Rabbit Hole gloriously handles its subject matter with equal parts solemnity and humor. Understandably, the theatrical moments are in there, but for every instance of melodrama there are four of cumbersome grief, intelligent reflection and naturalistic comedy. The climax of the second act is a firestorm, with Aaron Eckhart and Nicole Kidman trading verbal swipes with claws finely filed, hearts borne like sliced fruits spilling their innards. Few movies integrate silly plot devices as well as this one does: iPhones, toy robots, skeeball, comic books, work in glorious conjunction, never undermining the emotion they’re eliciting.